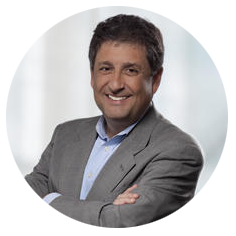 Santo Cannone’s technology experience includes leadership positions in sales, product management and operations for businesses ranging from start-ups to Fortune 500. Santo serves as a Senior Advisor to Edge Consultancy and Entrepreneur-in-Residence at the Tampa Bay Wave new business accelerator. Santo’s 30+ years financial technology experience includes serving as a Chief Product Officer for Fiserv, leading teams developing product and market strategies; Senior Vice President, Group Sales for Open Solutions; Vice President, Real-Time Systems for FIS; Managing Director at EDS; and Senior Vice President at USERS Incorporated.